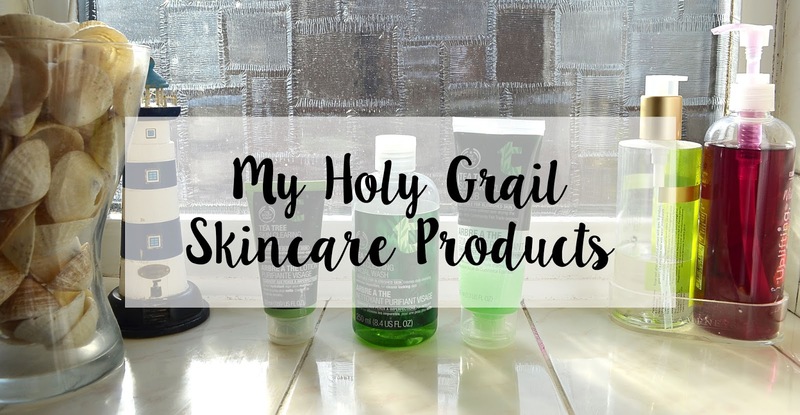 Now, I'm not going to pretend that I understand what all the funny chemicals in skincare are and what they do, but I thought I would write a little post about the products I use on a daily or weekly basis. I won't lie, my skin used to be awful, to the point where it affected my self esteem and I couldn't leave the house without a full face of make up! With a combination of what I feel is down to the pill and the products I'm using, my skin has cleared right up and I finally feel comfortable in little to no make up. It's no secret that The Body Shop are one of the best brands out there for affordable skincare at the moment. They have numerous ranges out right now suited for any and every skin type. For me, the Tea Tree range stood out but I was a bit iffy about giving it a go. 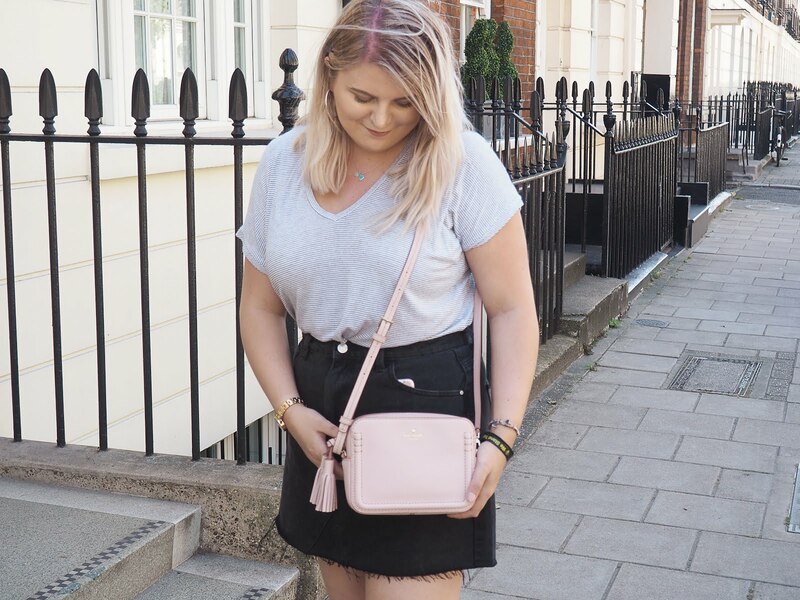 Having used many products containing tea tree in the past, they hadn't really made any difference to my skin so you can see why I was hesitant. I decided to buy the minis initially as I can be quite careful with my money when it comes to purchasing skincare, but two weeks later I was back in the shop buying the full sized products! This range is brilliant, I feel like I have finally found a skincare routine that works for me. On days where I am having a particularly sensitive skin day, I can feel the cooling effects of the tea tree working instantly and calming the redness in my skin. I no longer suffer with severe breakouts and only have the occasional one or two when it's that time of the month. So far, I have only tried the products from this range pictured above, but I am desperate to try the rest and maybe even branch out into some of their different ranges! Facemasks are the ultimate pamper treatment, so it's fair to say that I have tried quite a few a lot. I spent many hours scrolling through reviews and blog posts when I noticed that Lush skincare is definitely a hit! Well, they certainly live up to their hype (but I mean, what do they sell that isn't great?!). 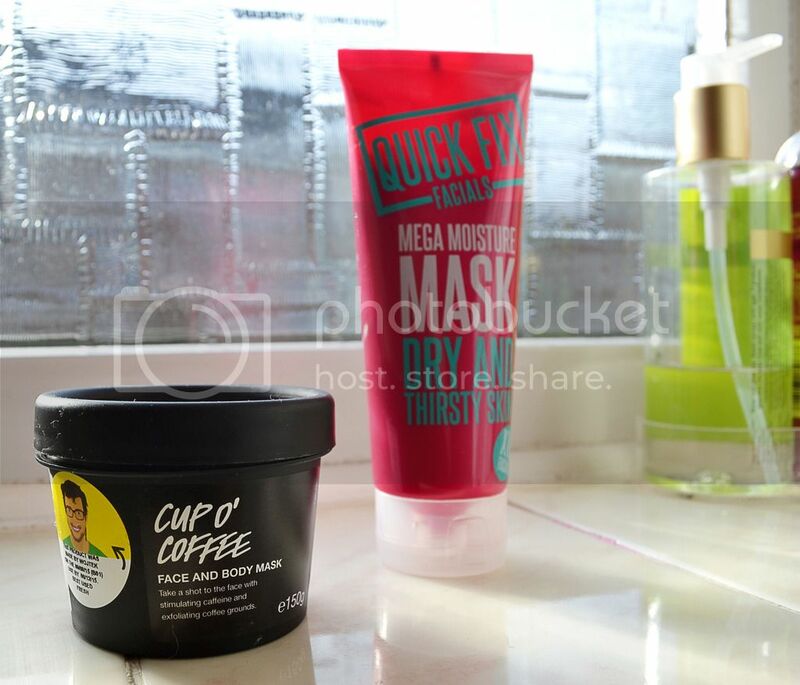 The 'Cup O' Coffee' mask is described as an exfoliating mask, so brilliant for any skin type really! It smells good enough to eat (but don't eat it). I have used quite a few of Lush's face masks and I have found that after using them, my skin is instantly clearer and the redness has been calmed down a lot. I'm going to put this down to the fact that all Lush products are made with completely natural ingredients, great for anyone who suffers with sensitive skin! Although some people may be put off by the size of the product in comparison for the price, you really do get what you pay for. The tubs may look small, but the face masks will last you for months! I personally don't pay attention to the use by dates and have used them way past, no problems here. I was intrigued by Quick Fix Facials' new range of facemasks after reading a wonderful review of them by my friend Karan, which can be found here. I opted for the 'Mega Moisture Mask' which is for dry skin as the name suggests. I always use this mask if I can feel my skin is becoming a bit dry or tight and it has done wonders for those annoying dry patches. All I can say about this product really is it does what it says, it puts the moisture back in my skin and it has never felt cleaner since using this mask. If you're looking for an affordable face mask, get yourself down to Boots ASAP and try them out. What are your skincare essentials? I'm always on the look out for new products! I've heard a lot of good stuff about the body shop's tea range. I use green tea in my DIY facials and stuff. My skin loves tea haha. Great post! I have quite blemish-prone skin, and I absolutely swear by The Body Shop's Tea Tree Skin Clearing Lotion - I've tried other moisturisers but I always end up going back to that one, it works wonders on my skin. I use it in combination with Lush's Tea Tree Toner and my skin now looks better than it has done in years. Thanks for your comment! The lotion is honestly so brilliant, it's done wonders for me. No matter what's going on, I always go back to tea tree! I suffer from really bad acne and cystic acne and when people ask me what to use for spots (as I've tried and tested everything!!) I always tell them to use something tea tree based! Tea tree has never worked for me in the past but I'm definitely going to continue to use the Body Shop's Tea Tree range! Lifesaver. Cup O' Coffee has been such a babe for my skin lately! And I've heard so much about the tea tree range, I should definitely try this out! I've never tried any of Lush's face masks but the Coffee face & body mask sounds amazing! I'm using the Cup O' Coffee too! It smells delish! Its fab that you've found a routine that works for you! That mask for dry skin sounds great I need to try something like that! It's really good and affordable for a quick working mask! Tee Tree infused products are prefect for rebalancing the skin to prevent break outs! I´ve had a similar experience with my skin. For years I had the worst pimples imaginable but with the pill and only a few chosen products it´s all clear now. I love the Lush face masks. For me, they are the only ones really worth their money. My skin loves the lack of chemicals in them and instantly feels softer. I've heard a lot of people say their skin has got worse since being on the pill but mine has improved so much! Glad I'm not the only one. Thanks for sharing these, Kat. My skin has been acting up badly in the past but I've never been on the pill, however did use a bunch of products (not many helped obvs). 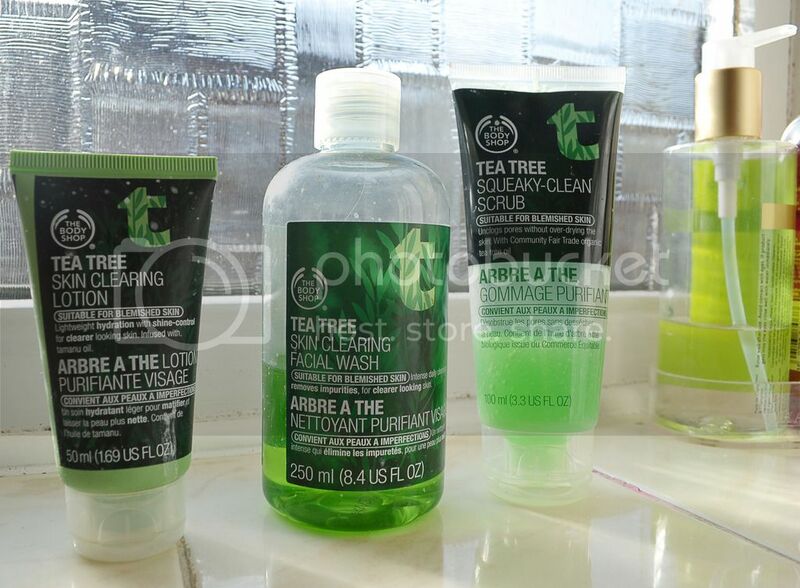 I love anything tea tree based so The Body Shop products are just up my street! My skin in much much better now but when it does break out, I use Cupcake from Lush - it is a little miracle in the jar :) Lovely post hon. Haha you are welcome! I've never tried any Avon products but I've always wanted to try a charcoal mask, apparently they're really good! I've had a go at the tea tree range, sadly I saw no change in my skin -___- I used to have EXTREMELY blemish-prone skin but now that I'm old-er (hahah) it's not as bad. I've tried the tea tree oil and nothing really worked :( I do like the other TBS stuff though, especially their body stuff and their leave in detangler which I love! My favourites currently are Rosehip oil which is amazing for hyperpigmentation and acne scars, also for very blemish-prone skin and I'd definitely recommend that! I also use the La Roche Posay one, which I decided to try after reading so many reviews and I have to say... it's pretty good! As for Lush, personally I don't like their products too much because of the fragrant and perfume they put in (green beauty snob LOL) but I do like their bath stuff - always so pretty! I saw some lip tints on some people and it looks gorgeous too! Aw, that's a shame to hear! I must say I've never used any types of oil on my face but I'll definitely look into Rosehip oil. I love the Body Shop products but have been using the seaweed range, will have to try these! I LOVE the Body Shop Tea Tree Range! It's brilliant on my oily skin.